Barrington Lewis: Hey Feds! Printing is futile...! Hey Feds! Printing is futile...! 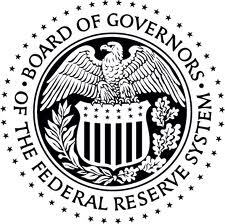 The Fed seeks to revive the American economy at the expense of exporting inflation to emerging and poor nations. Is this the late 1970s and early 1980s all over again? No wonder Gold and other commodities are reaching record high prices. On the contrary, if our government doesn't devalue our currency (along with our standard of living) - how else can our labor pool compete when other countries are willing to work for a lot less? Maybe QE3 will devalue our currency enough so that we can bring jobs back to the USA?? Third time's a charm? I think not.....at this point, the Fed should just sit and allow the markets to self-correct. Or at least allow Congress to set a long term plan that will allow businesses to get from under the clouds of uncertainty. According to an article in the WallStJournal - the dollar has lost 95% of its purchasing power since the inception of the Fed (click here to read this article). Today, our purchasing power is worth approximately 15 cents, given the constant dramatic increase in prices for college tuition, healthcare, food, energy, etc. America is still a great country, and I believe it's still the "land of opportunity". However, in a ever-increasing global marketplace, we must learn how to embrace and adapt to change. Change creates opportunity for those who can adapt, and difficulty for those who cannot.